In today’s market, more people than ever are turning toward the Internet to find the products and services they need. Whether it’s HVAC repair, a plumber, a mechanic, or just a somewhere to grab lunch, people overwhelmingly use the Internet to make their purchase decisions. To grow your business and increase sales in the highly competitive Melbourne market, it’s critical that when customers come looking for what you offer, you can be found. 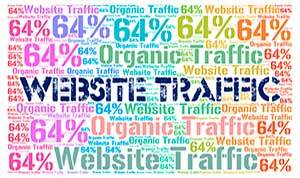 By organically increasing your Google ranking you make yourself available to the customers who are already looking to pay you. Every day that you aren’t in the top ranks of the most competitive search term you are driving customers straight to your competitors. We take Melbourne SEO to a whole new level by providing a comprehensive strategy that leaves no corners cut and no stone unturned. By combining multiple marketing strategies including web design, content marketing, social media management and more, we give our clients visibility through Google ranking while simultaneously providing them with a platform to communicate with their best potential customers, build quality relationships and ultimately drive business. Let’s look at how we make it our business to see yours thrive. 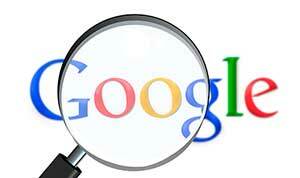 Google considers certain elements of your website when determining ranking. This includes website speed, structure, time spent on page, and more. Whether you need your current website optimized or a new one built from scratch, we can ensure that you have a professional-looking, user-friendly, and fast web page that will satisfy your visitors, as well as Google’s crawler programs. Google also favours mobile-friendly websites over pages that aren’t optimized for mobile browsing. Research shows that over 50% of Google searches are on mobile platforms such as smartphones and tablets. 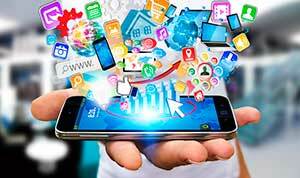 By optimizing your website for mobile users, we can simultaneously increase your Google ranking while giving a sizable portion of your page’s visitors a better user experience. Many in the industry consider content marketing to be the bread and butter of SEO, and we are inclined to agree. Well written content gives you a platform to communicate your products and services effectively to your potential customers and help drive traffic to your website. Our team of expert content writers generates high-quality website content that will engage your customers while employing thorough keyword research and utilization to ensure that you rank for the most searched terms. It’s no secret that active social media marketing and management increases sales. Almost every major business in the modern day vigorously markets themselves on the most popular social media platforms including Facebook, Twitter, and Instagram. At Divergent Media, we incorporate a comprehensive social media marketing strategy into our digital marketing plan to help you build relationships with your customer base, drive web traffic, and improve your Google ranking. When deciding which Melbourne SEO agency to partner with, it’s crucial that you choose an SEO firm that understands the big picture. Many SEO and digital marketing firms think that improving their clients Google ranking on its own is enough to help them achieve growth beyond their wildest dreams. At Divergent Media, we believe that getting you to achieve top Google rankings is more about the journey than the destination. By improving your communication, customer relationships, visibility and web quality, we help you to achieve organic growth. Google and other leading engines update their algorithms constantly to improve their user’s experience, leaving many Melbourne SEO firms in the dust. We stay on the cutting edge of SEO and digital marketing through comprehensive research and analysis, adapting your marketing strategy to suit the evolving SEO landscape and making sure that you are ahead of your competitors at every turn. Many Melbourne SEO firms can get you ranked, at least in the short-term, but we at Divergent Media take it to the next level by providing you with a cutting-edge strategy that will allow you to build a foundation for your business to grow on for many years to come. Give us a call today for a free consultation and find out how we can guarantee you the best ROI in modern marketing.